Heart-pounding, drenched in sweat, music blaring… sure, you could get all of this at a club on the weekends. Or, you could do yourself a solid and sign up for a class at one of Philly’s incredible cycling studios. Whether you’re looking for zen, competition, or just a good time, you’d be surprised how far you can go when you’re on a stationary bike. Wanna know where to find the best spots? Do you long for the days of competitive sports? Thrive off the thrill of the chase? You’re in luck. 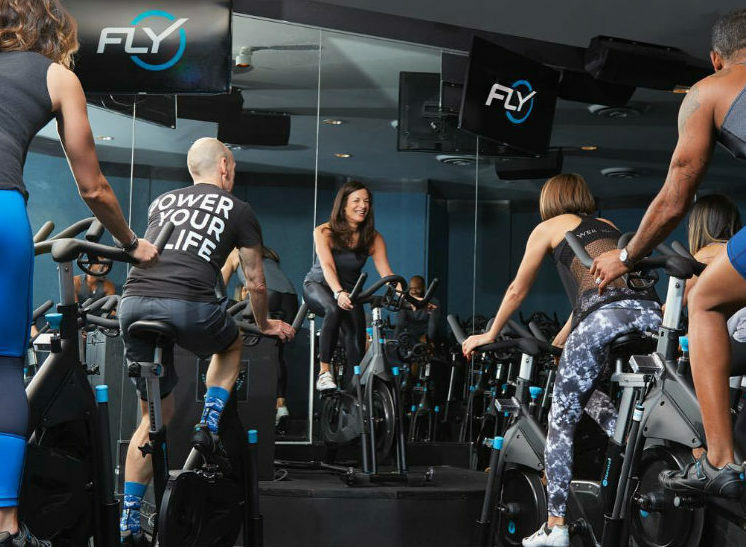 Flywheel’s unique approach to indoor cycling combines top-of-the-line technology with top-notch instructors to create an exciting and welcoming atmosphere. If you’re competitive, you’ll love the “Torqboard” — a giant scoreboard that allows you to transform your ride into an interactive race against the rest of the class in the infamous “stadium” set-up. But if you’re just interested in a sweaty, fast-paced workout, you can opt out of the Torqboard and simply enjoy the ride. Check ’em out in City Center and Bryn Mawr. Fitt Tip: don’t worry about bringing the right footwear; complimentary cycling shoes are included with every class! 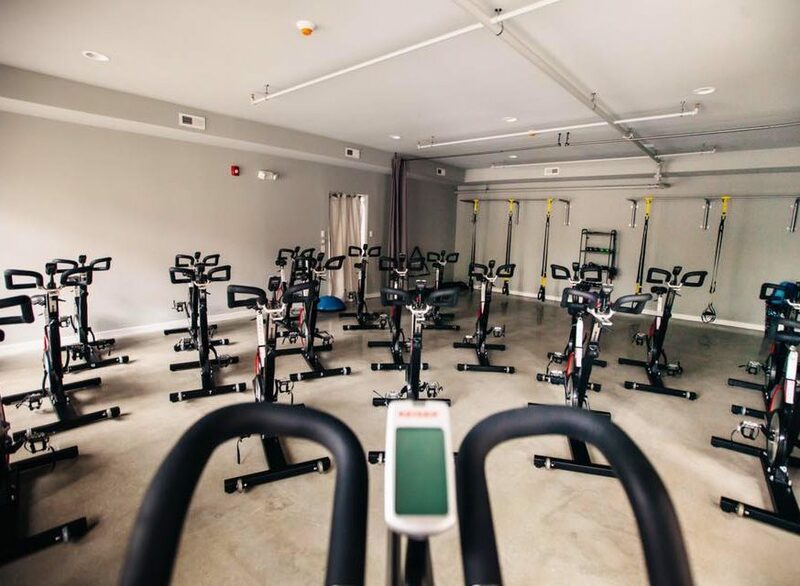 Make your way to the Manayunk for a free class at a cycling studio dedicated to helping you achieve the very best sweat session around. Inspiring and motivating instructors create a friendly atmosphere with just a touch of toughness. 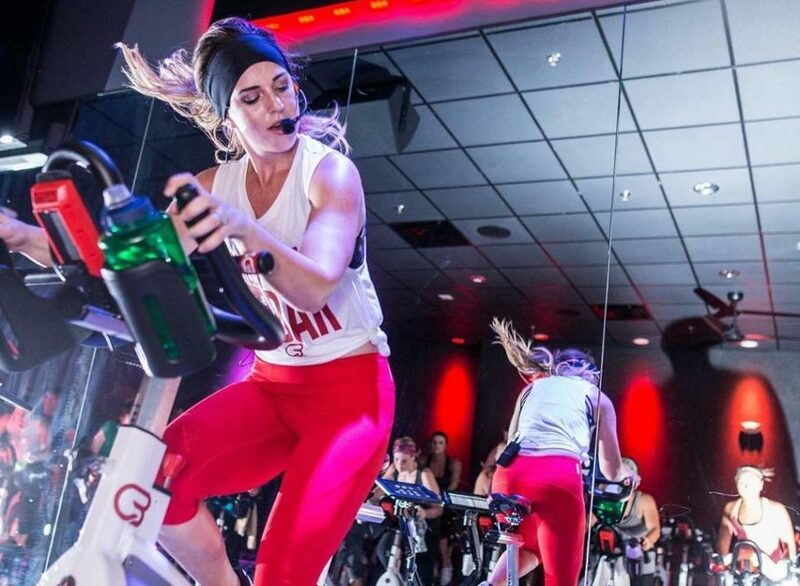 This is especially the case for their CycleBox workout, which is probably the most intense class you’ll ever take. Think 70 minutes of cycling, ab work, and multiple rounds of boxing. 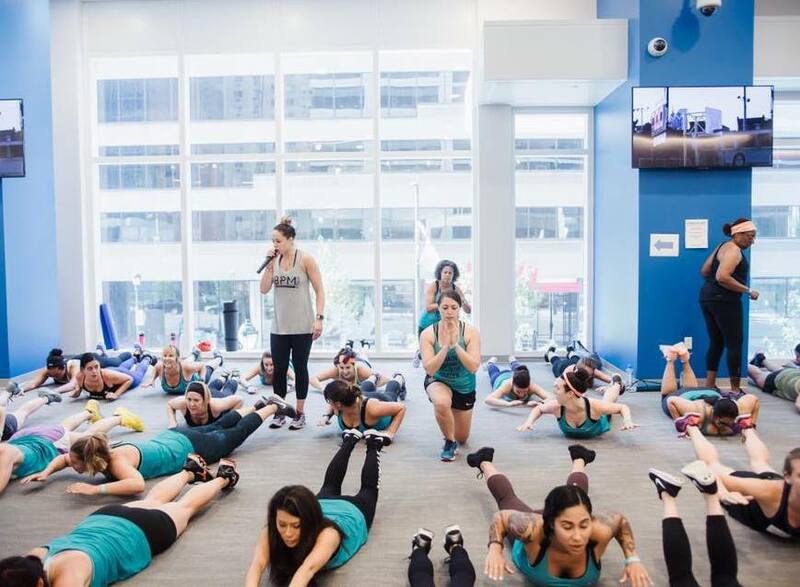 They also offer fusion classes with yoga, TRX, and barre — something for everyone. What are you waiting for? See you at The Wall! 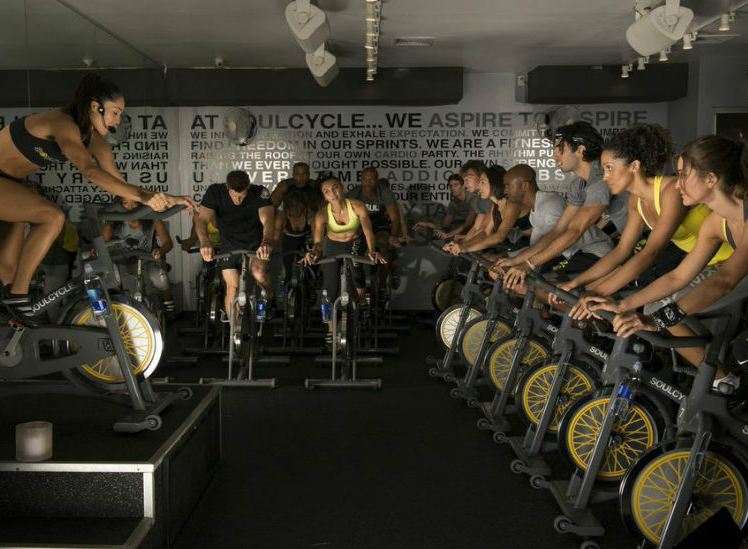 With a cult-like following across the country, we’re not surprised that SoulCycle in Rittenhouse Square has rocked the Philly studio scene. Add the custom (and sometimes themed) playlists, the dreamy mood-lighting, and the intention each instructor sets at the beginning of class, and you may feel like you’re entering a yoga class. Moments later, as your legs are flying and your body’s drenched in sweat, you’ll realize that this workout is for your mind and your body. 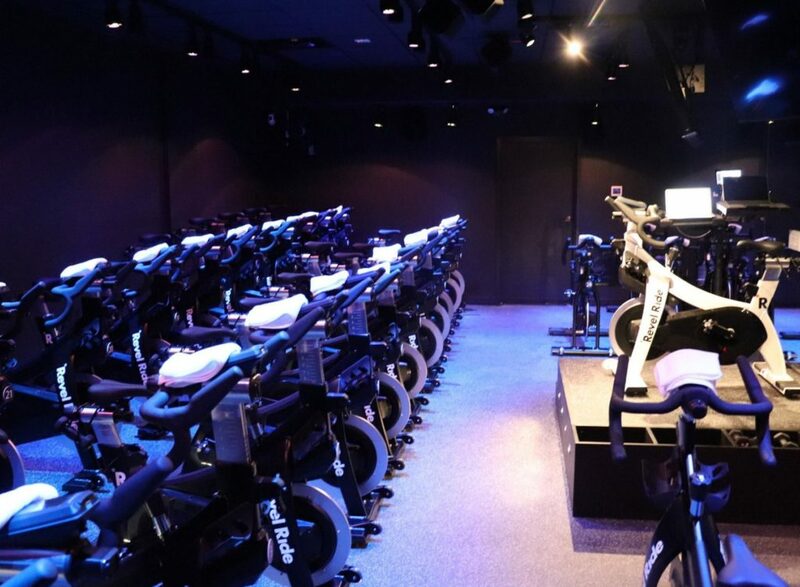 And, after 45 minutes (or 60 for the daunting SoulSurvivor classes) of riding your heart out while the instructor chants inspirational mantras and pushes you to your limits, you’ll leave feeling invincible… and ready to book your next class. The folks behind Revel Ride realize that indoor cycling isn’t “one-size-fits-all”, so they set out to put a new spin on your ride. And they did just that — combining features from different types of classes, they made three of their own: “Revel in the Rhythm”, for those who seek a fun, challenging workout that follows a certain beat; “Revel in the Fight”, for people who crave intensity and competition; and “Revel in the Ride”, that appeals to cyclist at any level. Check out the studio in Graduate Hospital and get ready to revel in the ultimate workout. 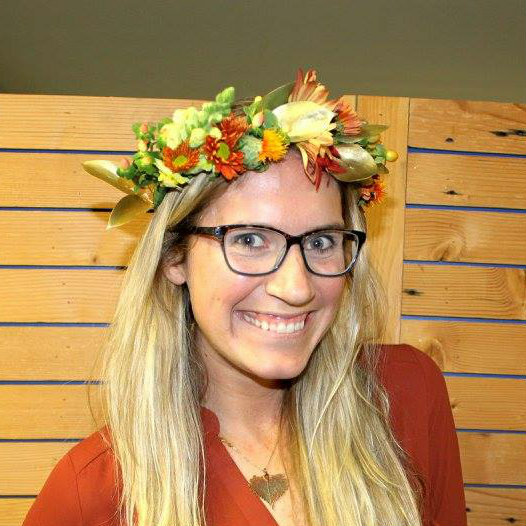 Brewerytown is one of Philly’s fastest growing neighborhoods, so we were stoked when Cycle Brewerytown set up shop there. This studio offers 45- and 60-minute classes focused on speed and conditioning. But you might have to wear earmuffs for their Explicit rides — the soundtrack will be unedited and the tracks may have you dropping some colorful language of your own as you sweat and cycle. Follow them on social media for surprise discount codes and charity ride announcements. Plus, your first ride is free! Fitt Tip: they’re located just across the street from The Monkey & The Elephant, one of our favorite spots to grab a latte and house-made baked goods after class! Variety is the spice of life, and we like our workouts extra spicy. 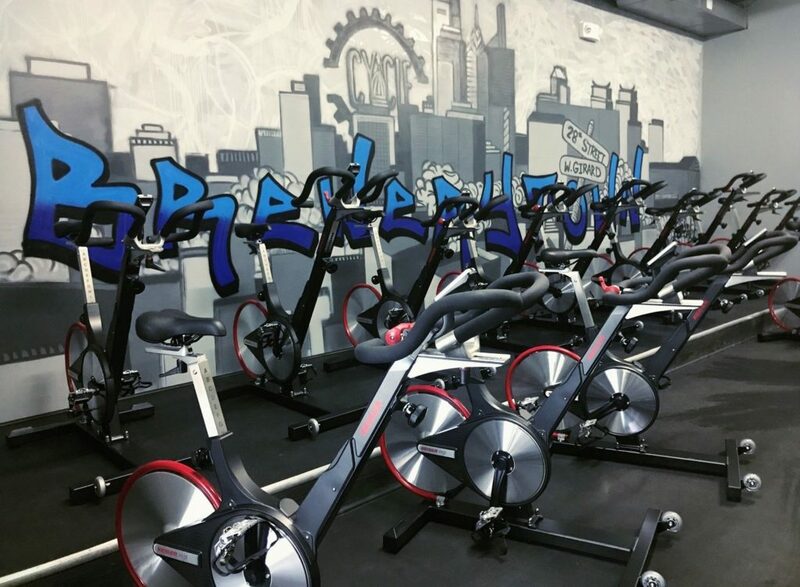 BPM Fitness in Fairmount brings together two of our favorite styles of fitness: strength training and cycling for one killer workout. After 30 minutes of cycling, you’ll complete 30 minutes of circuit- and team-based strength training. There’s even a 45-minute express class, for when you’ve gotta break a speedier sweat. Situated just a few blocks away from both Chestnut Hill train stations, you can get your sweat on before your morning commute into the city (weekday classes kick off at 6am). 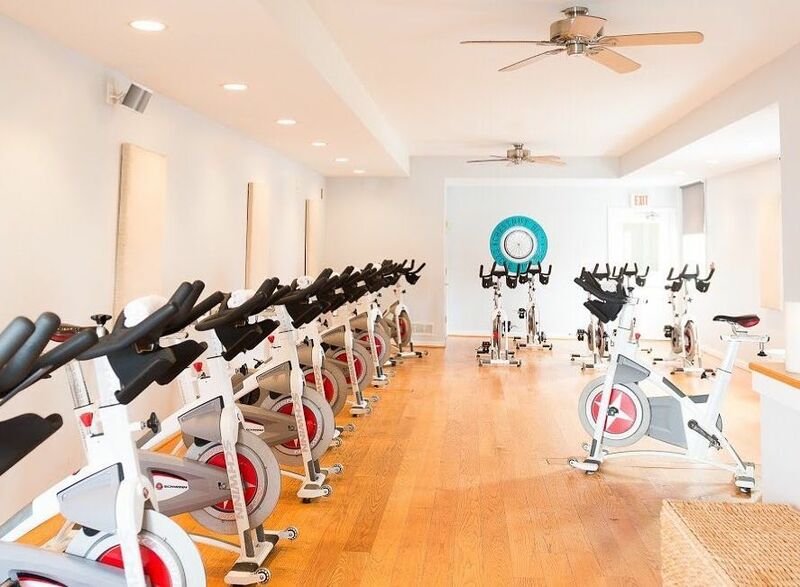 Chestnut Hill Cycle Fitness is a warm and bright studio, complete with options on and off the bike. From cycling to strength to sculpting, their workouts will keep you on your toes (literally, if you take one of the barre classes!). First class is free, so you’ve got no excuse not to try ’em out! 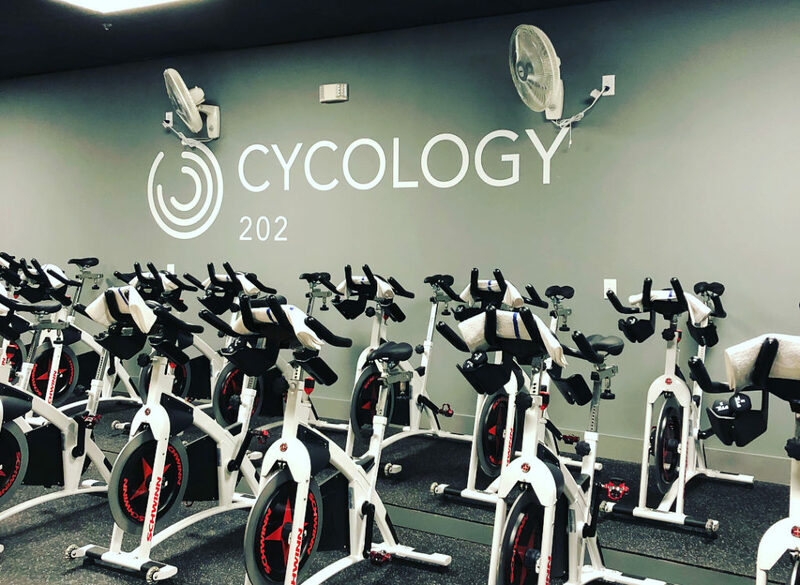 Whether you’re in Plymouth Meeting, North Wales, or Exton, you can get a serious sweat at one of the three local CycleBar studios. We’re not sure if it’s the stadium setup, the bright red walls, or the insane beats that fill the space up like you’re at a club, but whatever it is, this place gets us on our bikes and riding fast. Plus, if you’re anything like us, you’ll love checking your CycleStats after class to keep track of your performance progress. We don’t just visit this cycling studio because it’s mere footsteps away from one of the biggest Whole Foods in the area, but it doesn’t hurt. Cashew butter and Fair Trade coffee aside, we love Chadds Ford’s Cycology 202 for their clean, bright stadium and wacky themed rides. Plus, when you’re looking to really feel the burn, they’ve got a few extended classes and a Core Cycle workout that adds in a half hour of strength work off the bike.